After the T34 and IS-6, it's time to turn a medium tank into a battlefield gentleman. What vehicle suits this purpose better than the Swiss bear? 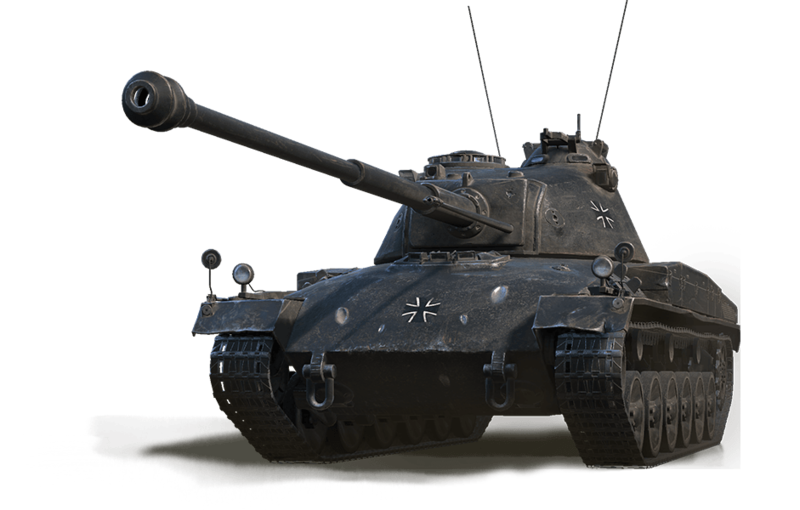 Transforming the beast into a beauty, we present to you the Schwarzpanzer 58! Want to have this newly reinvented radiance grace your desktop as well? In that case, make sure to check out the special wallpaper we have included at the bottom of the article! Also, we will be adding some extra offers, including the original Mutz, so check them out! Important: Those of you who own the original Pz. 58 Mutz, and thus are eligible for the Black Edition discount, must be logged in to see the discounted offers. Get the classy Schwarzpanzer 58 as part of three different offers, available in the Premium Shop from 9 December at 06:00 until 16 December at 06:00 CET (UTC+1). Turite prisijungti, norėdami parašyti komentarą. / Please Login to Post a Comment.